From Mt. Nebo, I decided to drive onto Hwy. 7 and then headed up north into the Ozarks. 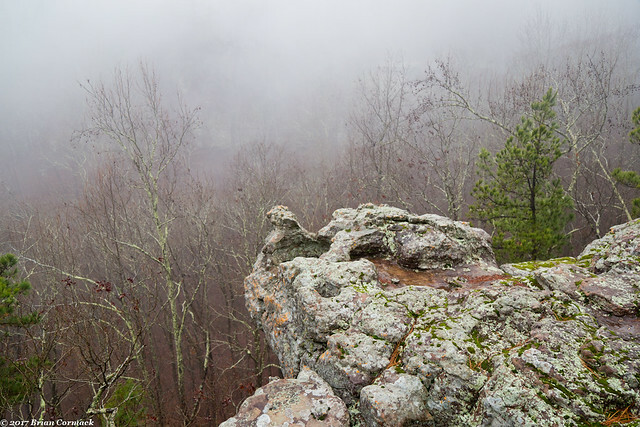 The same fog that shrouded the top of Nebo was coating the top of the Ozark Mountains. 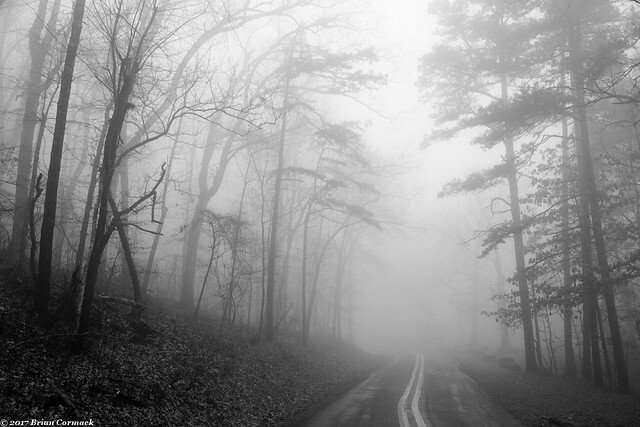 The road dipped and turned through deep fog, with some occasional light rain hitting the car. I didn’t think the rain would be enough to get waterfalls going, so I decided to head up and hike the trail to Pedestal Rock. There were two other cars at the trail head, but I didn’t see any other people while out hiking. There were several deer along the trail, including some that must be pretty brave or are at least not that bothered by humans. They didn’t mind me walking by along the trail and taking a few pictures. It had stopped raining, but the woods were pretty saturated that afternoon. 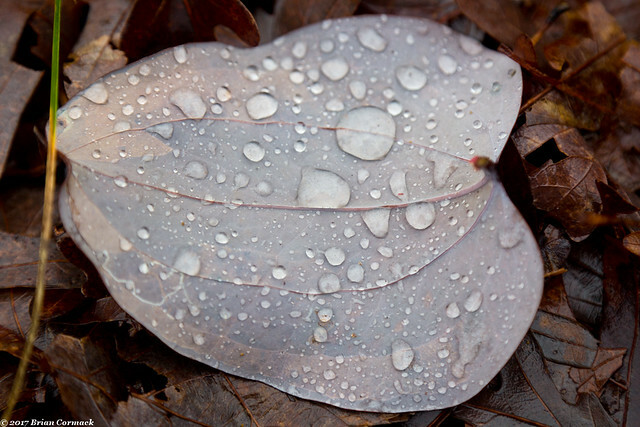 This leaf along the trail was collecting a little bit of rainwater. Eventually the trail dips down and runs along a bluff, and the namesake Pedestal Rock comes into view. The rock pedestals were formed from eons and eons of erosion and weathering. 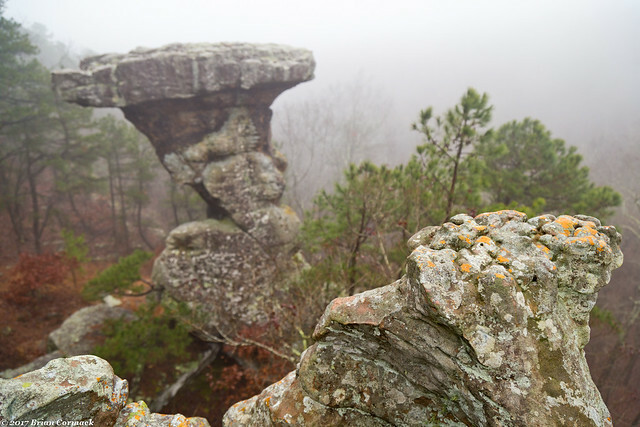 The largest is Pedestal Rock, which stood tall as the thick fog obscured the hills and forest behind it. 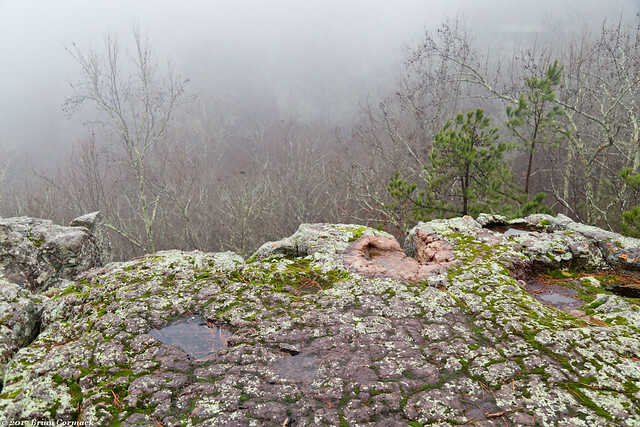 With the thick fog, there still wasn't much of a view (no matter how close you dared to get to the edge of the bluff). I tried to get a few pictures, before hurrying back to the car to head back home in order to pick up Jonah from daycare. I decided to take advantage of a recent day off from work, and headed out to take pictures. After dropping the baby off at daycare, I headed out to try to find something to take pictures of. I hadn't really planned things through, and didn't really have any idea of where to go. So I drove west on the freeway, and hoped to find something along the way. It was a rainy day, with a bit of fog. So I ended up driving over to Mount Nebo to see if there was any fog there. 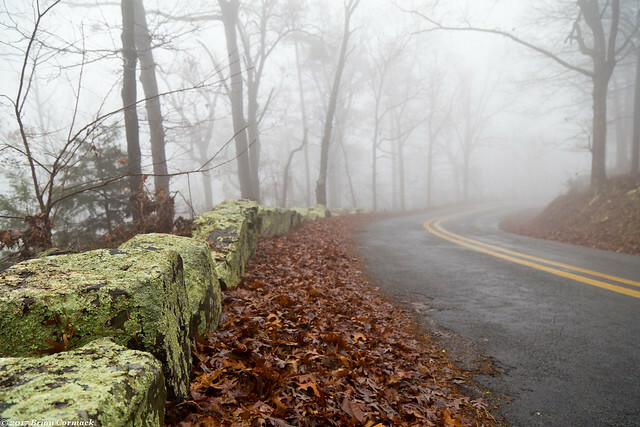 The road that heads up to the top of Nebo has to be one of the curviest stretches of road in the state. As it pushes up the mountain, the road twists and turns through hairpin curves like a snake on drugs. 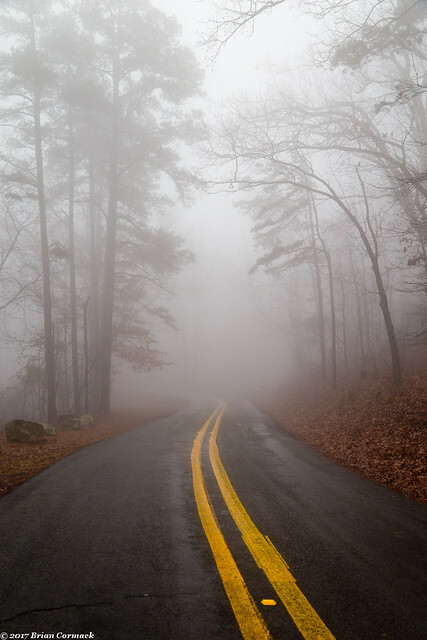 The fog got thicker as the elevation increased, and eventually you could hardly see anything on the road. So of course I stopped to take pictures! (I was parked safely off the road and there was no traffic). Mount Nebo stands 1,350 feet above the Arkansas River Valley (which doesn't sound like much if you're used to the big mountains out West, but it does tower over the surrounding countryside). From the top, you can usually have good views of the Arkansas River, Lake Dardanelle, the Ouachita Mountains and even the Arkansas One Nuclear powerplant. But of course you couldn't see any of that through the fog. 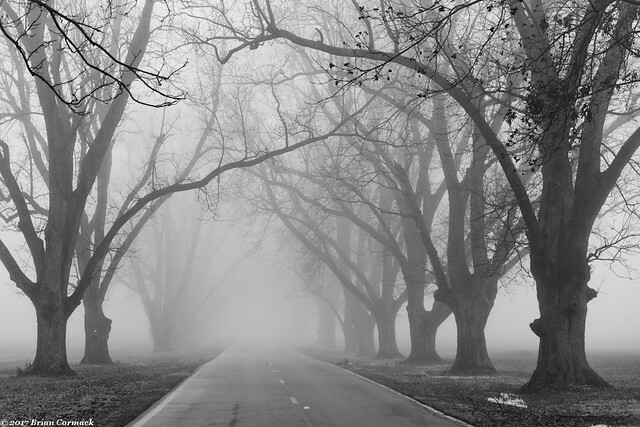 As I drove through the park, trees appeared out of the mist and would then silently dissolve back into the fog. Mount Nebo has been a state park since 1927, but before then it was also a popular resort location. In the 1890s, two large hotels were on the mountain, each with over a hundred rooms. 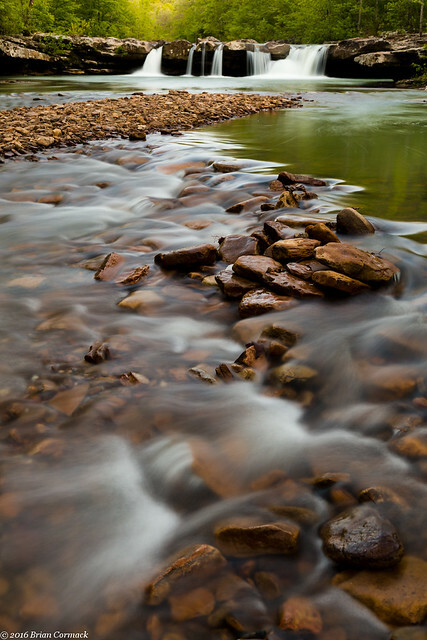 Visitors would ride steamboats up the Arkansas River, and would stay at Nebo since it was a little bit cooler in the summer and some springs on the mountain were thought to have medicinal powers. One of the hotels burned in 1918 and never reopened, but you can still find several old buildings still standing throughout the park. 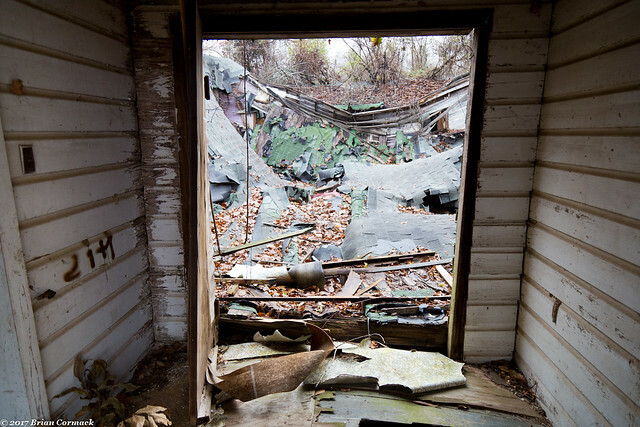 This building here was a maintenance shed that was built by the Civilian Conservation Corps sometime around 1934. The area that was surrounded by the low rock wall used to house a well and pumping equipment. I drove to Forrest City the other weekend for the opening of the 2017 Small Works On Paper Exhibition, a statewide travelling art show that is put on every year by the Arkansas Arts Council. This year, one of my pictures was included in the tour. It was one of 36 pieces selected by artists from across the state. I was very excited to have one of my pictures chosen, and for it to be part of a great collection of art! I had my camera with me, so after the reception I took the long way home and tried to get a few pictures. I drove through Forrest City and passed by this abandoned building, part of which was condemned after it had partially collapsed. I headed east on Hwy. 70, through the flat and cold lands of the Delta. It had snowed a few days before, and there were still some traces of snow that hadn't melted yet. It had been below freezing for awhile, and the water in the ditches along the side of road were frozen. 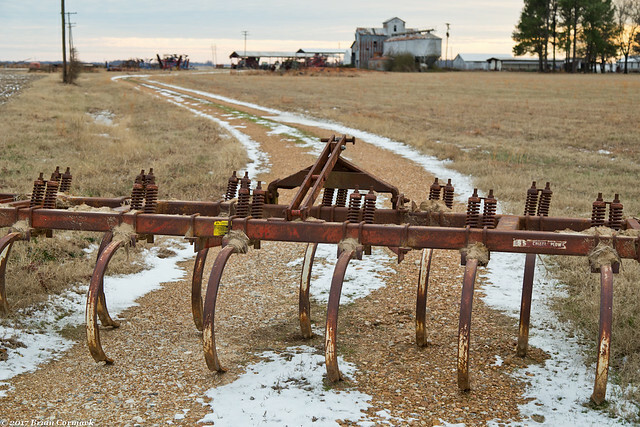 I stopped by this dirt road, which was blocked by an old plow at the entrance. Just a little bit of snow still lingers along the road as it curves towards an old building in the distance. I followed Hwy. 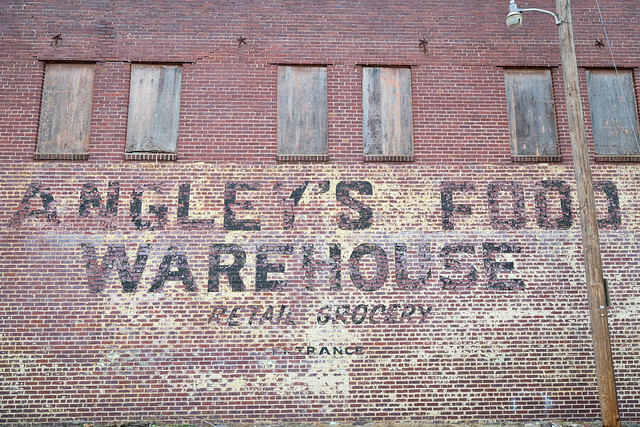 70 as it headed into Brinkley, and I stopped at this old building with a faded ghost sign. The building sits just a few feet from some busy railroad tracks, but it looks like the roof of the building has also collapsed in a few places. It was getting close to sunset, and I just barely had enough time to make it to Hickson Lake, in the Dagmar Wildlife Management Area. 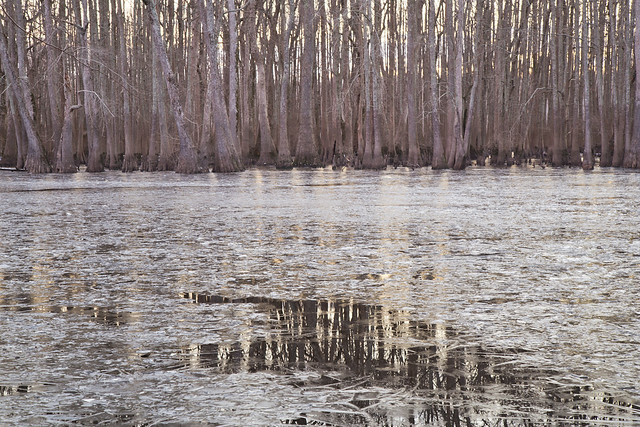 It is a beautiful lake, lined with countless numbers of cypress and tupelo trees. The trees were poking up through a layer of ice that had grown on the lake's surface. It was a bit chilly out there (about 29 degrees), and I got a few more pictures before hurrying back into the heated car and driving home. And the picture that was taken, which was taken in October of 2015 during our big road trip to Arizona. 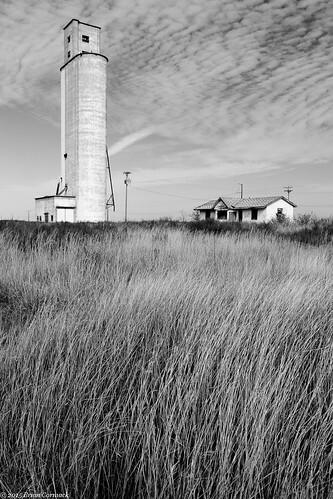 It was taken in the morning as we drove west along Route 66 in the Texas panhandle. To celebrate the new year, and to take advantage of the day off from work, Caroline and I packed up the baby and went driving around on the day after New Years Day. It was chilly, with a light rain and fog. Jonah fell asleep not too long after we left, so I don't know how much he enjoyed riding around while I stopped to take pictures. He managed to sleep for just about the entire time we were out driving around. We headed east from Little Rock, making the short drive to the small town of Scott. 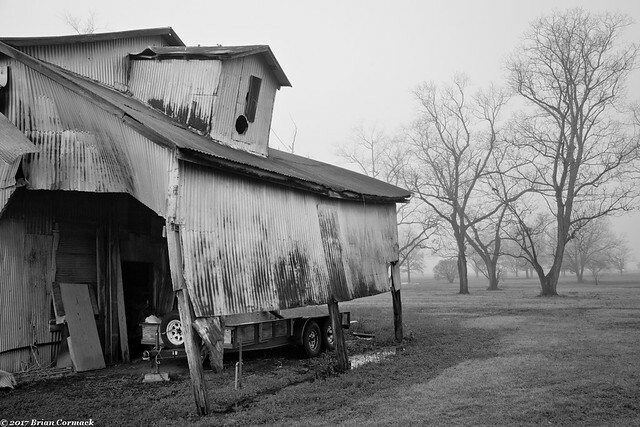 Scott is a neat little town, filled with tons of old barns and homes (it's like the Boxley Valley of the Delta). 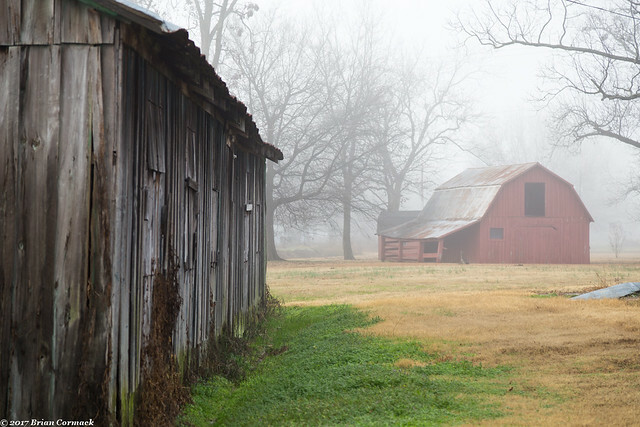 It sits in fertile lowlands not too far from the Arkansas River, and was the home of several large plantations back in the 1800s. This was taken overlooking an oxbow lake by the Plantation Agriculture Museum, which is operated by the Arkansas State Parks. This was taken just down the road, while getting closer to Cotham's (which unfortunately wasn't open that day). 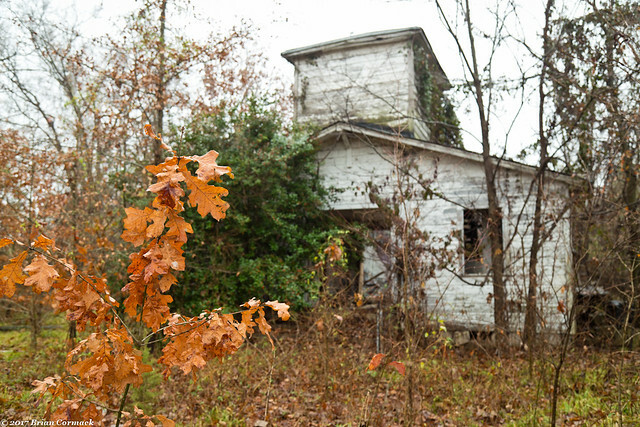 Just a little bit outside of Scott is this old abandoned church, which sits forgotten behind a stand of overgrown trees. The roof of the old church has collapsed, completely flattening into the sanctuary below. This is actually the view of the interior, taken while looking through the front door. It always seems so strange and sad to see places like this falling apart. There were probably weddings and baptisms here, and people spent a lot of time and energy building and maintaining this place. But now it's just a pile of rubble and debris. Further down the road, we stopped at another old and abandoned church. This church I've stopped at several other times and taken pictures over the years, so I'm always interested to see what condition it's in. The church probably hasn't seen any services in years, but it is at least maintained still. Also the area in front of the church has started to be a new area for the cemetery, with new graves being added in the past few years. 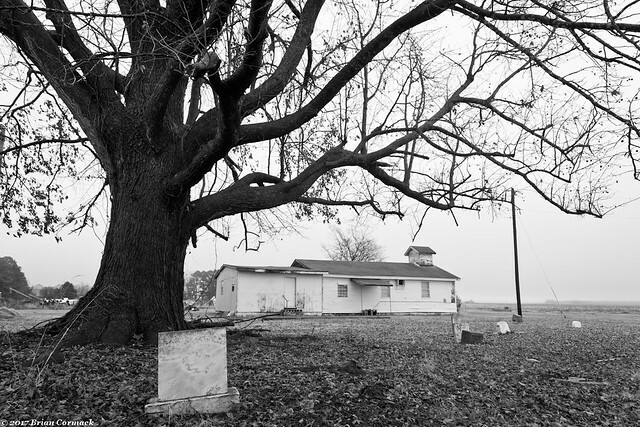 This shot was taken from under a massive old tree at the side of the church, as light fog drifted by the old graves and the nearby empty fields. We continued on towards the small town of England, which is now home to about 2,800 people. Like Scott, England is also filled with lots of neat old buildings. 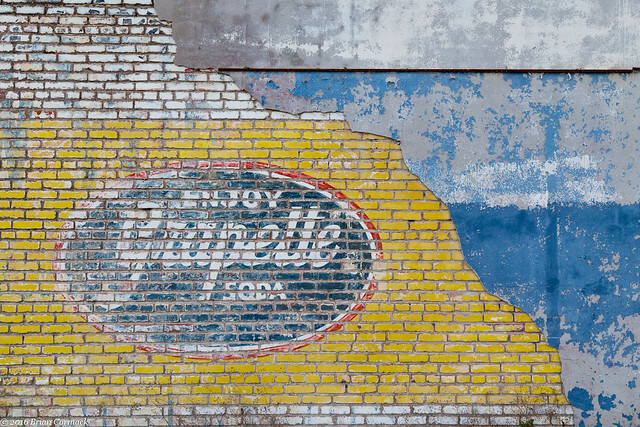 Jonah continued to snooze in the backseat while I stopped to get a shot of this old sign. 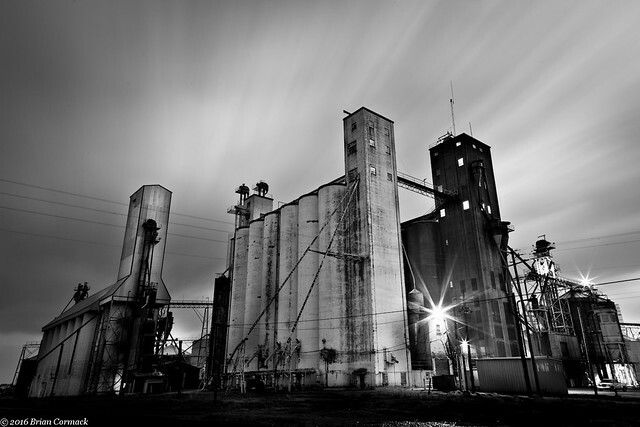 A few large silos sit on the edge of town, standing out like skyscrapers in the fog. From there we headed back towards Keo, which while it's a pretty small town (population 256) it is also filled with a large collection of old farm buildings and barns. 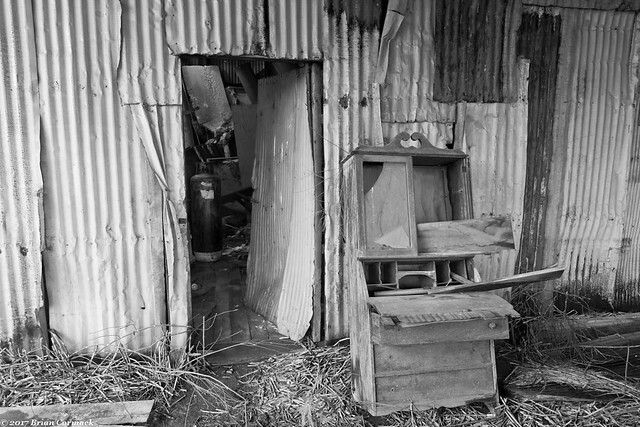 An old piece of furniture was still propped up against the door of the old building here (maybe an old cotton gin?). Wonder if this was maybe put here by the antiques store next door? Nearby there was a barn, painted bright red. 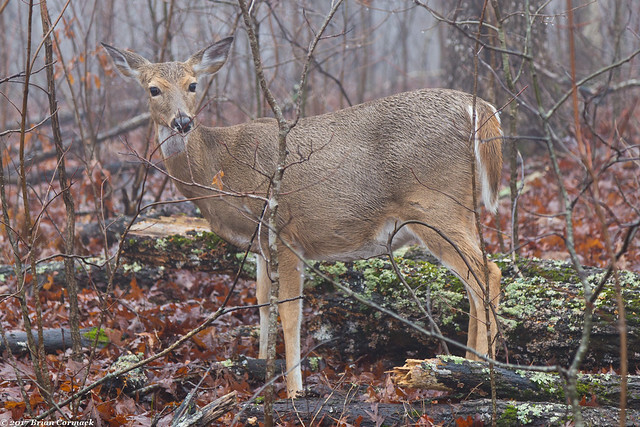 The color managed to pop through the dreary gray of the foggy and overcast skies. Keo and Scott are pretty well known for their pecan trees, and Keo actually has a few orchards located right in the middle of town. 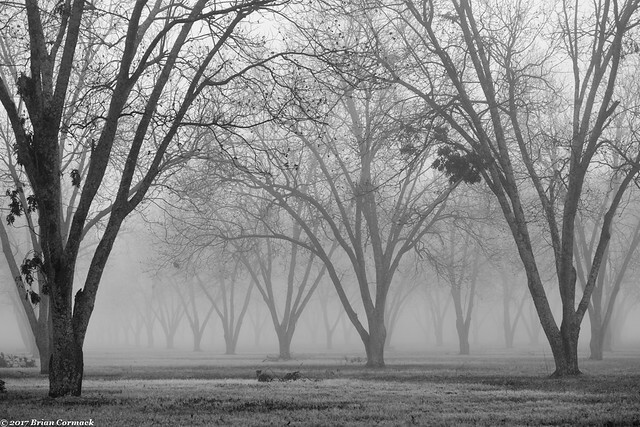 This stand of trees was actually right across the street from the old barn in the picture directly above. 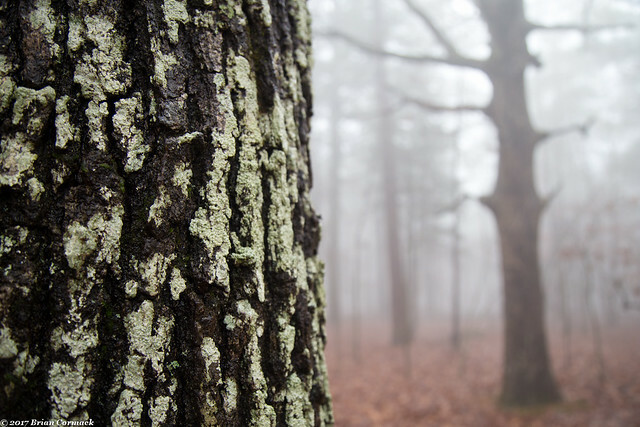 The thick fog obscured most of the trees, and also accentuated their trunks and branches. 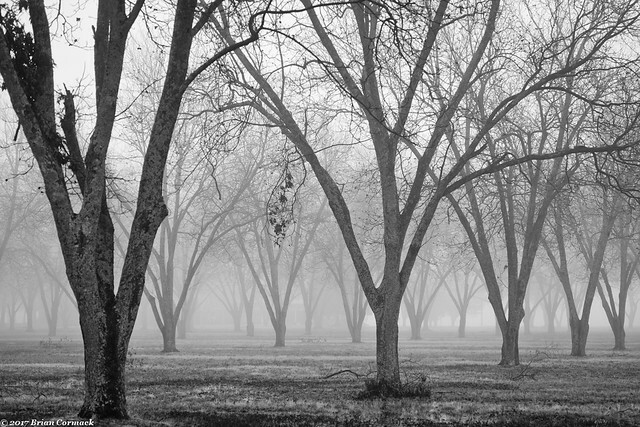 The fog was getting thicker as the day went on, so on the way back home we made a quick stop at the Pecan Alley by Scott. 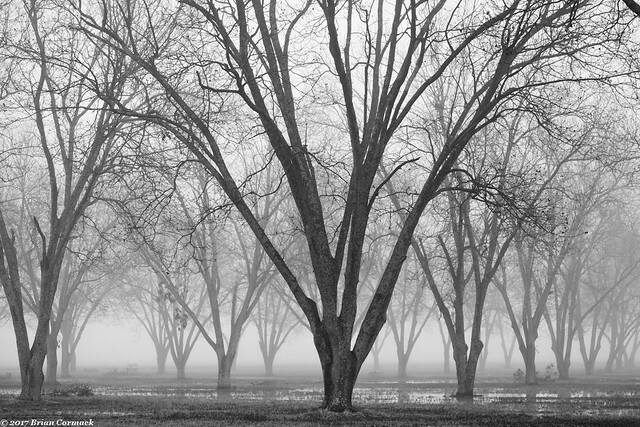 Here pecan trees line the road, creating a sort of tunnel. The trees are over a century old, and were planted as part of a plantation that used to be in the area. 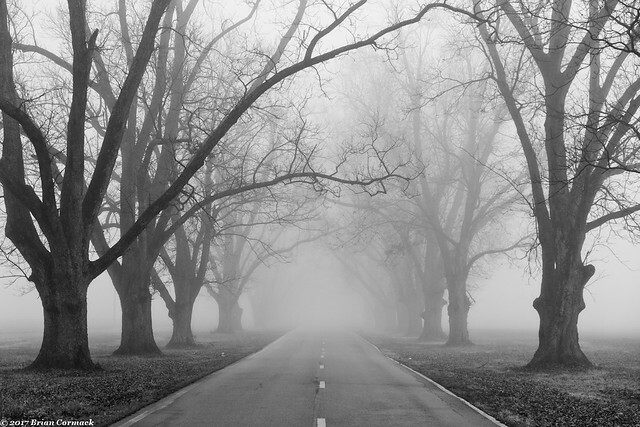 I did look both ways before stepping out in the road, luckily there weren't many other people out driving through the fog. By this time, Jonah had woken up and was in need of diaper change. 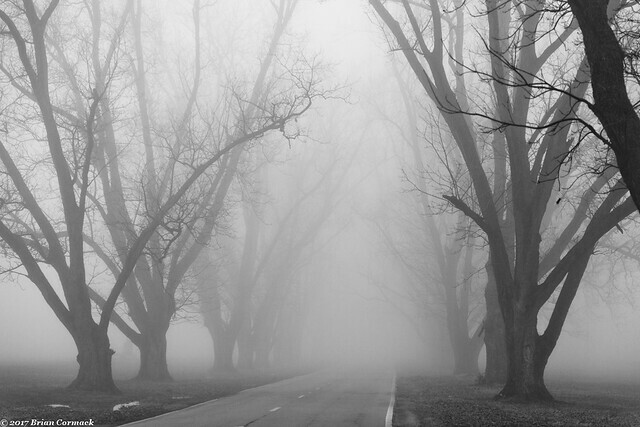 So after one last shot, we drove off into the fog and headed home. 2016 was a difficult year, for several reasons. Personally, it was a painful year spent deep in grief after a drunk driver killed my Aunt just before New Year’s Eve last year. The following twelve months have been very difficult, and I admit to being depressed and angry and confused about what happened. Spending Christmas with family, and not having her there, was incredibly difficult. The drawn-out legal proceedings have been frustratingly slow. The accident caused a lot of darkness in 2016. So we needed a little bit of happiness and goodness, and we received it on February 10th when we welcomed our baby boy, Jonah, into the world. He is supersized in personality, spirit and in weight (he was nearly 11 pounds when he was born). His happiness and smile have brightened up our world. He has definitely made our lives much more interesting and fun, even if our days are spent changing dirty diapers. I’ve taken lots of pictures of him this past year, and this is one of my favorites. 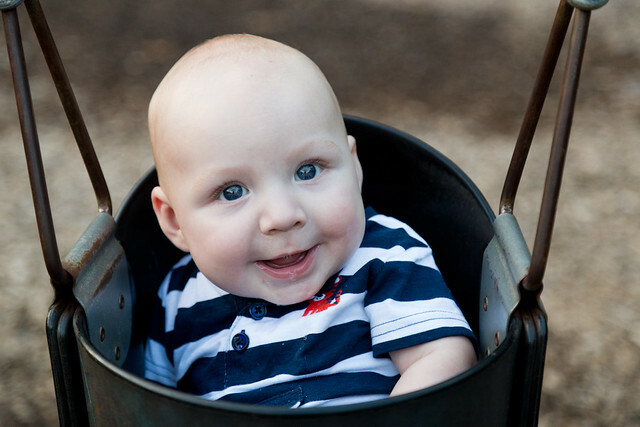 He was laughing and smiling as he sat in a swing in a city park in Nashville. Not every picture I've taken this year has been of the baby, so here is a little countdown of some of my favorite pictures from a long year that had both some bad and some awesome moments. 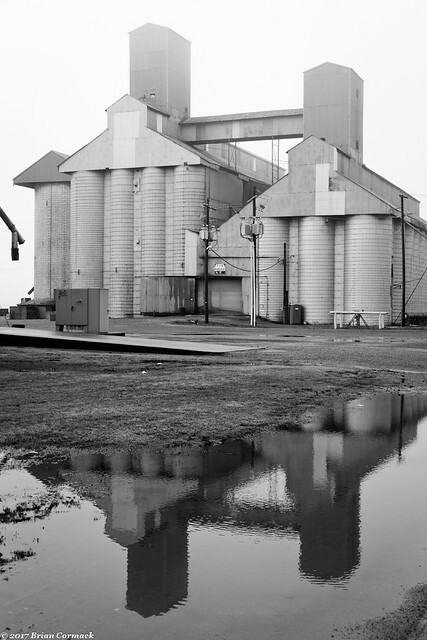 I worked on a little photography project in 2016, which focused on the Delta region of eastern Arkansas. 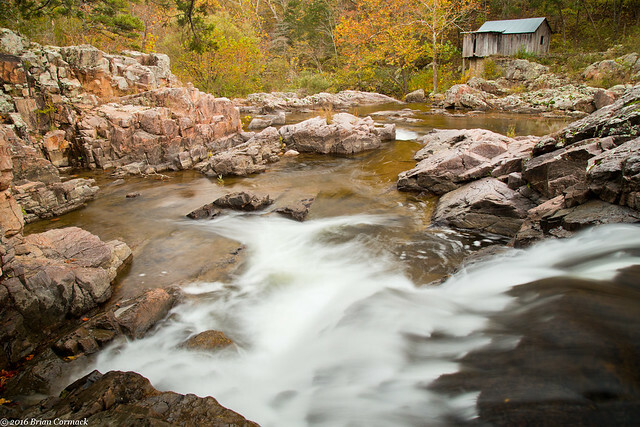 It’s not a part of the state that a lot of photographers flock to, since it lacks the waterfalls and tall bluffs of the Ozarks. 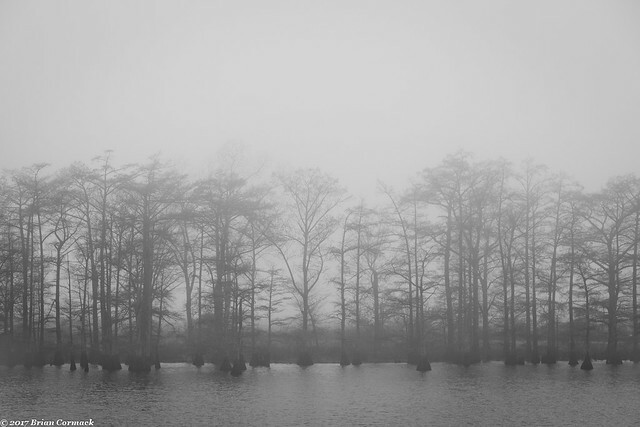 But the flat swampy lands of the Delta contain a great many neat and photogenic places. I found this field while driving through southern Arkansas one day. 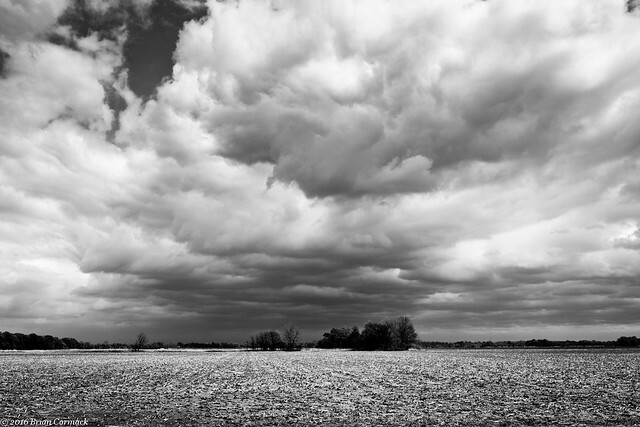 The crops hadn’t been planted yet, and ominous storm clouds hung high overhead. 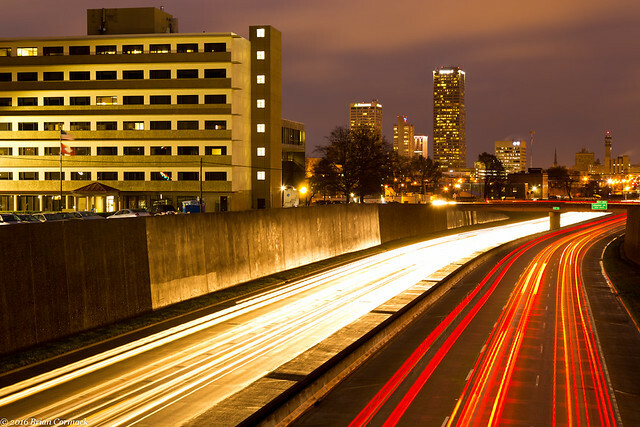 February 23: Little Rock, Arkansas. My work has an extremely generous family leave policy, so when Jonah was born I was able to take three months off with pay. Which was a great way to spend time with and bond with the baby. Plus, it meant having a little extra free time to sneak out and take pictures once we got the baby settled in at home. This was taken one evening during rush hour, where I was glad I wasn’t having to battle the crowd on the freeway trying to get home from work. January 29: Lake Sylvia, Ouachita National Forest, Arkansas. About a week or so before Jonah’s due date, I hurried out to Lake Sylvia on a clear night to try to get some star trail pictures in before the baby was born. 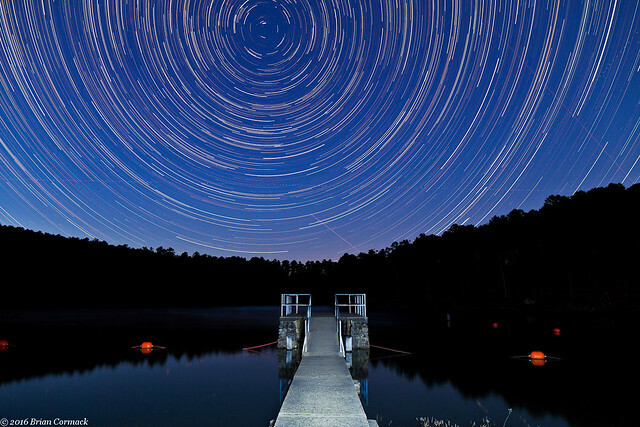 The lake is a short drive from Little Rock, but luckily is far enough away that there isn’t much light pollution. This was taken over the course of about two hours, looking north. Caroline needed to travel to Nashville for work, so Jonah and I tagged along to keep her company. While she was busy, I had some freetime and decided to drive Jonah off to visit a waterfall that was about an hour and a half away. Well sitting in the car seat was not exactly what Jonah had in mind, and was not pleased to make the drive. So I drove all the way there, with a crying baby in the backseat, only to see a sign in the parking lot saying that a recent flood destroyed the trail and everything was closed. Whoops! 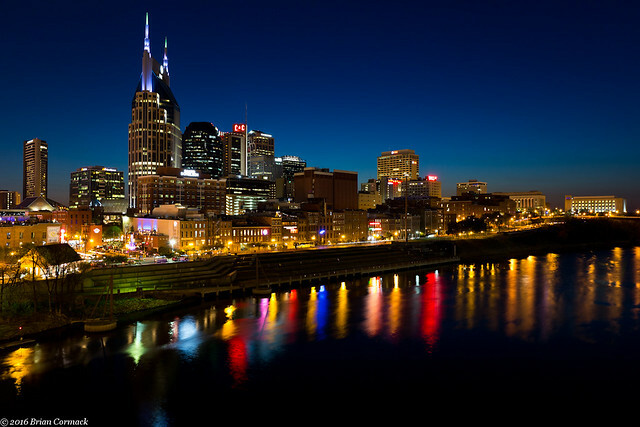 This was taken on the same trip, from the pedestrian bridge over the Cumberland River which provides a great view of the Nashville skyline. July 10: Near Wynne, Arkansas. On one drive through the Delta, I passed by this old house. 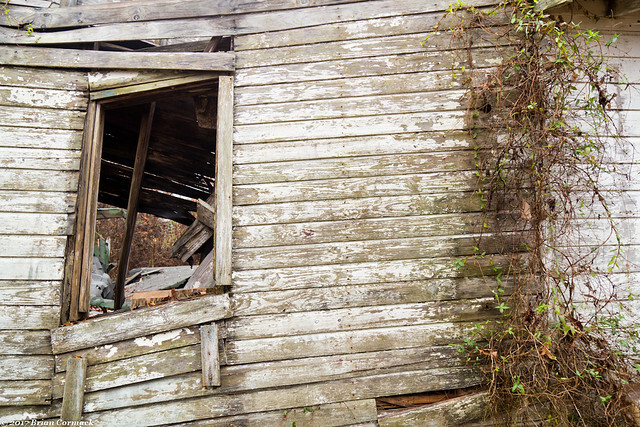 It was just barely still standing, the walls were slanted at a severe angle, and the interior was gutted. The only thing that might be holding it up are the hundreds of wasp nests inside. May 1: Kings River Falls, Arkansas. With the baby being born in February, I didn’t have as much time to get out to any waterfalls in the Spring. But I was able to make a quick trip up to Kings River Falls one afternoon. The trail has become popular and a little too crowded, but right around sunset everyone else had left and the falls were quiet and peaceful. 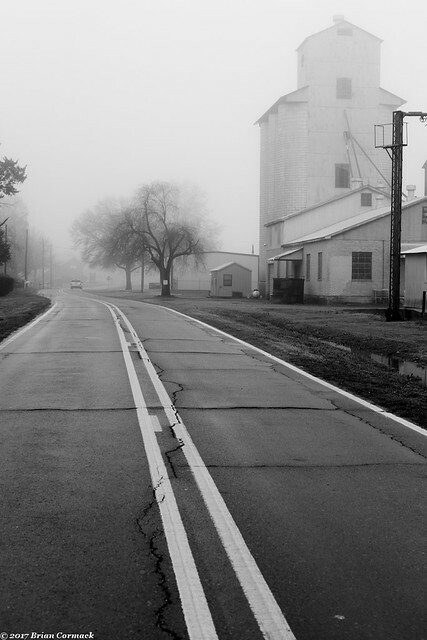 Watson is a small town located deep in the Delta, not too far from the Arkansas River. My grandmother was born in Watson, and she lived here until the Mississippi River flood in 1927 forced the family to move to North Little Rock. Watson is a small town, now with a population of about 200 people. One of the landmarks in Watson used to be Bonnie's Cafe, which was one of those great local little restaurants that I wish I had been able to eat at. But apparently Bonnie has retired, and the place closed. Looking through the windows, the cafe is still set up like it just closed a few minutes earlier. Salt and pepper shakers are still on the tables. 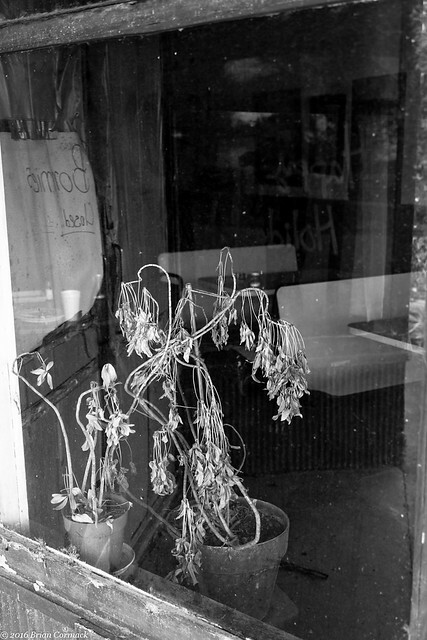 You wouldn't ever guess that it was closed, except for the dead houseplants that long ago turned brown sitting by the window. Clarendon is a neat old city, with an impressive courthouse that was built in 1911. The string of buildings across the street from the courthouse are mostly abandoned, with some crumbling away in the Delta humidity. 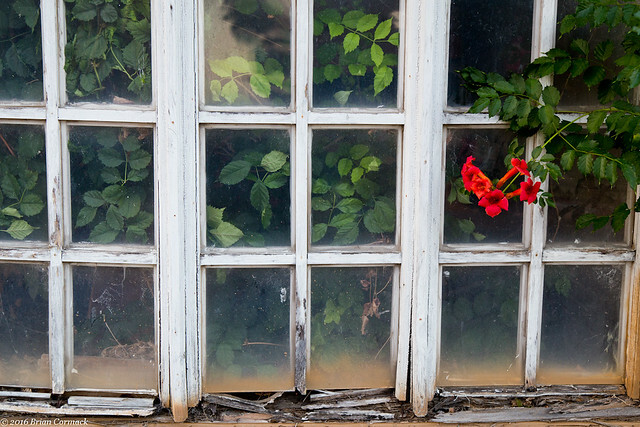 The window here was filled with vines and flowers from a plant that has been growing wild inside one of the buildings. September 30: Little Rock, Arkansas. View from the top of a parking deck, looking down at the intersection of Center and 6th Streets. I attempted to get pictures of the International Space Station passing over the city from here, but the shots didn't turn out right. But before then I was luckily able to capture some neat light in the sky while we were waiting for it to get dark. 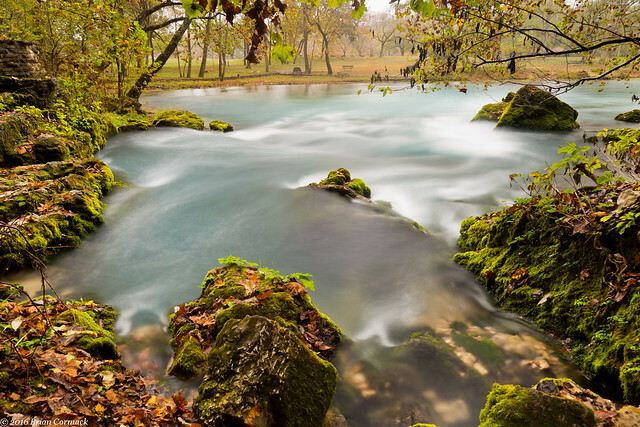 October 20: Big Spring, Ozark National Scenic Riverways, Missouri. Big Spring is aptly named, since it is pretty big. It’s actually one of the largest springs in the world, with a daily output of 276 million gallons of water. The waters pour out of a hole at the base of the bluff and instantly create a small river. Although the fall colors weren’t all that great in the Ozarks this year, it is still amazing to see the water flowing out from the ground here. July 10: Cotton Plant, Arkansas. 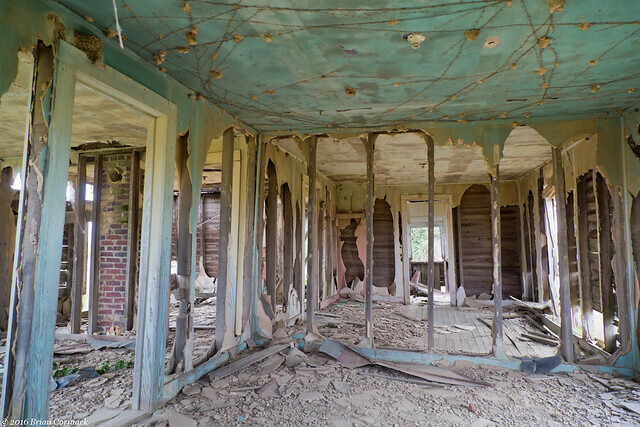 Cotton Plant, like so many other cities in the Delta, has its fair share of empty and abandoned buildings. Although there was still merchandise sitting out for sale in this old store, it looks to have been closed for a long time. 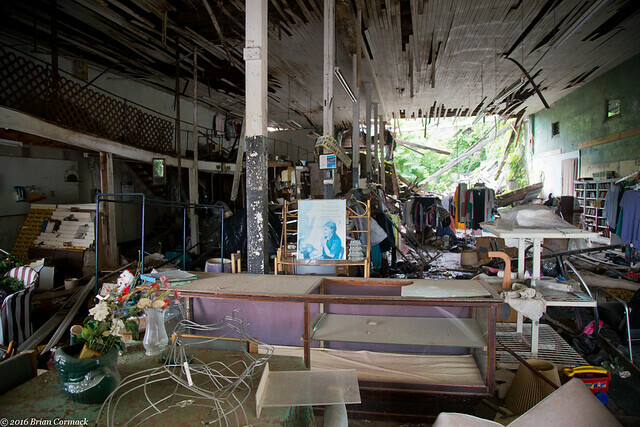 A think carpet of dust covered the tables, and the back wall of the store had completely collapsed. The old Hwy. 79 bridge was built in 1931 and was just replaced with a new bridge in 2016. 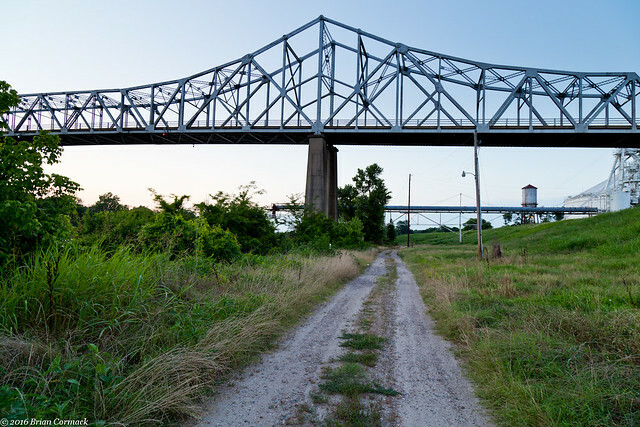 The state’s plan was to demolish the old bridge, but there has been an idea to preserve the bridge and convert it into a pedestrian and bike bridge. Hopefully that will go through because it is a fine old bridge and needs to be saved. November 27: Little Rock, Arkansas. Of all the bridges downtown, the Junction Bridge has to be the prettiest. 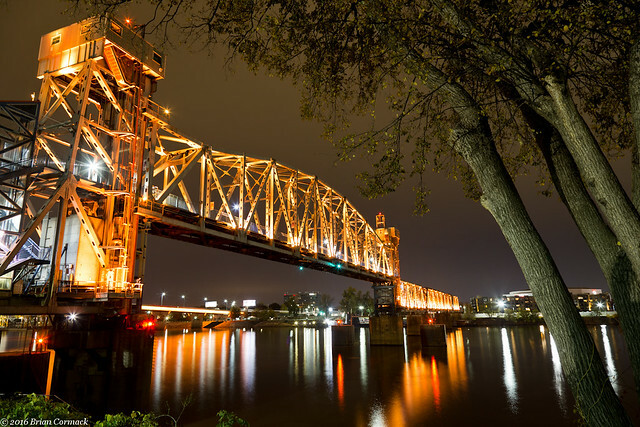 It has the best lighting display, and the bridge has one of the best views of the Little Rock skyline. A barge floated by to go work on the new Broadway Bridge right after I took this, and it'll be interesting to see how the new bridge changes the views downtown in 2017. 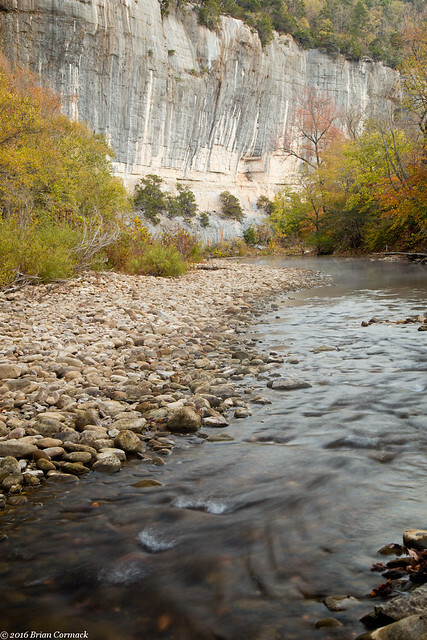 November 12: Roark Bluff, Buffalo National River, Arkansas. This was a pretty unspectacular year for fall colors in the Ozarks. Apparently some very dry and hot weather just zapped all of the good color out of the trees this year. When the trees finally did change, it was about two weeks past the time they usually hit their peak. 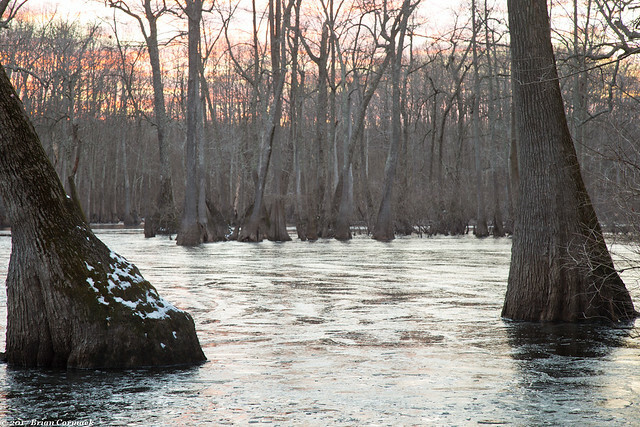 This was taken at sunrise one morning along the Buffalo River. Most of the trees had already turned brown or lost their leaves, but the trees by the river managed to have some decent color. Hopefully the fall colors in 2017 will be better. December 26: Big Dam Bridge, North Little Rock, Arkansas. I got a new tripod for Christmas and was eager to go try it out. 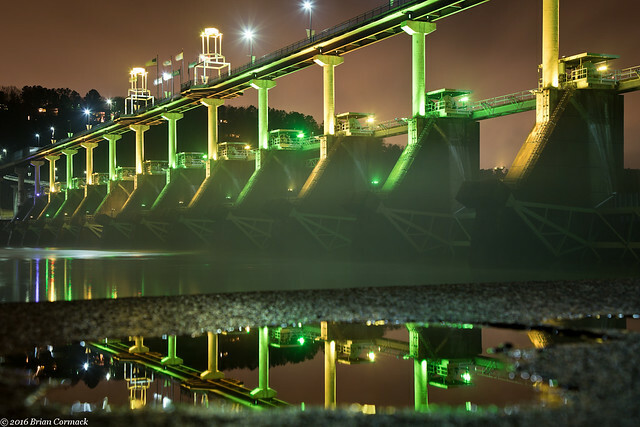 I hurried over to the Big Dam Bridge and found this reflection. Perhaps I maybe should have read the instruction manual on how to properly work the tripod first, but I did manage to maneuver it in place by this small puddle. I also managed to get a few shots without knocking the camera and new tripod into the muddy waters of the Arkansas River. August 20: Hot Springs, Arkansas. I was given the opportunity to go inside the Medical Arts Building, one of the most spectacular buildings in downtown Hot Springs. It was built in 1930, and is still the tallest building in the city. It has been all but abandoned for several decades, and has since been preserved as a sort of time capsule of old architecture. You can see the art deco pieces that signified the era in which it was built, and then some touches of 1970's era brightly colored shag carpet. 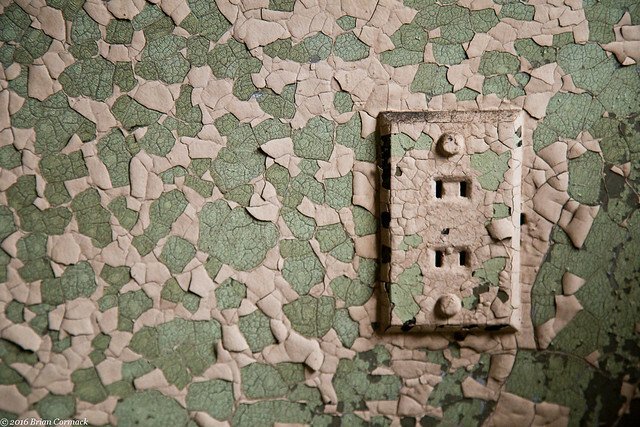 This old electric outlet was situated in a sea of peeling and cracked paint in one of the rooms. The interior is still in mostly good shape, besides some water damage. It could easily be preserved and needs to be saved. 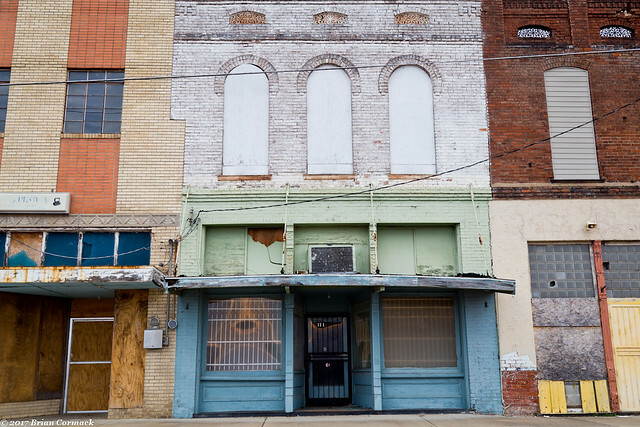 After the loss of the Majestic Hotel, we don't need to lose anymore of Hot Springs' iconic buildings. 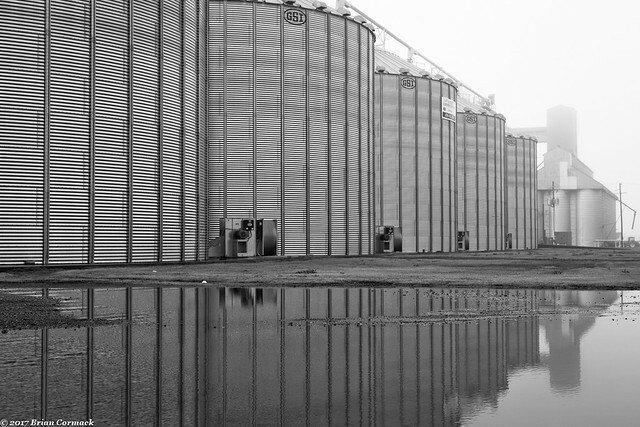 Some heavy storms moved above these huge grain elevators, and I tempted fate by trying to get some pictures of it. I hoped to catch maybe some cool lightning, but only ended up in getting the camera soaked by the rain. It stopped working, and I had to put it in a bag of rice for a day or two to get rid of the moisture. It worked, and the camera works just fine now (it just had a lingering smell of jasmine rice for a few days afterwards). October 21: Alley Mill, Ozark National Scenic Riverways, Missouri. 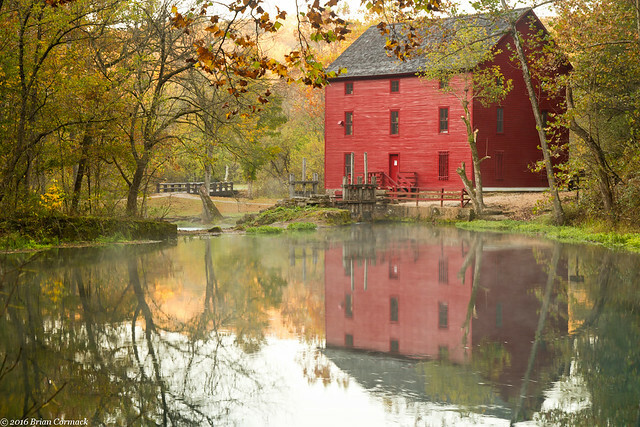 Alley Mill was built in 1894 and sits by a spring that pours out about 81 million gallons a day. It's a beautiful spot, and well worth the long drive up to southern Missouri. This ghost sign was painted on the side of a building that dates back to 1917. During the great flood in 1927, people huddled for safety here as it was tall enough to survive the flood waters. 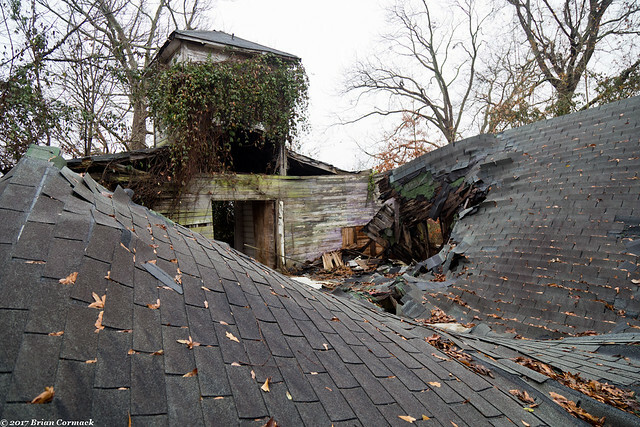 But now the building is abandoned, and the roof appears to have collapsed. June 25: Pine Bluff, Arkansas. The Hotel Pines was built in 1913 and was considered to be one of the finest hotels in the state. 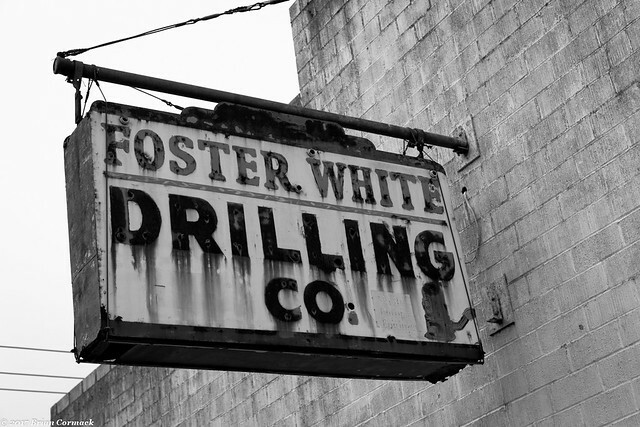 But it closed in 1970, and has steadily deteriorated ever since. The glass skylight is broken, so water pours into the lobby every time it rains. Chunks of plaster have fallen from the walls and ceilings. The fine marble in the lobby is cracked and broken. But the building is currently for sale, and maybe a buyer can come along to save it. Or at least preserve it so it doesn't collapse like the buildings that once stood across the street from the Pines. 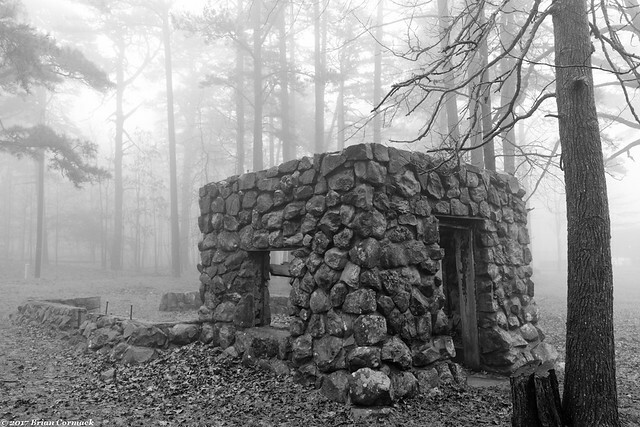 October 20: Turners Mill, Mark Twain National Forest, Missouri. This massive 25 foot tall waterwheel is all that remains of the old Turners Mill, and the small town of Surprise. The town faded away, and has been reclaimed by the forest. 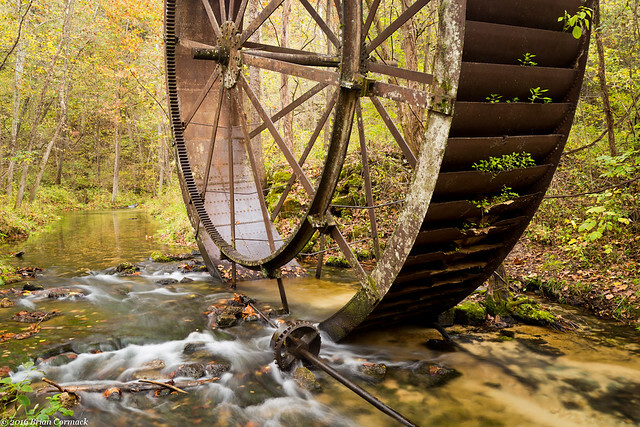 The steel wheel sits in the waters of Turner Spring, where about 1.5 million gallons of water pour out every day. December 4: Pine Bluff, Arkansas. 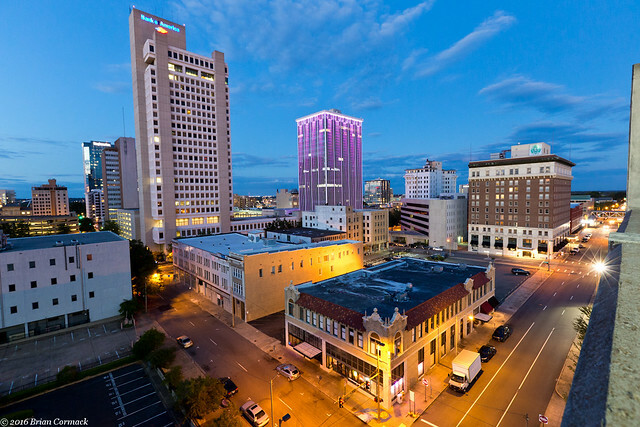 The Saenger Theater was built in 1924, and was called the "Showplace of the South." But the theater closed in 1970, and has been abandoned for many years. 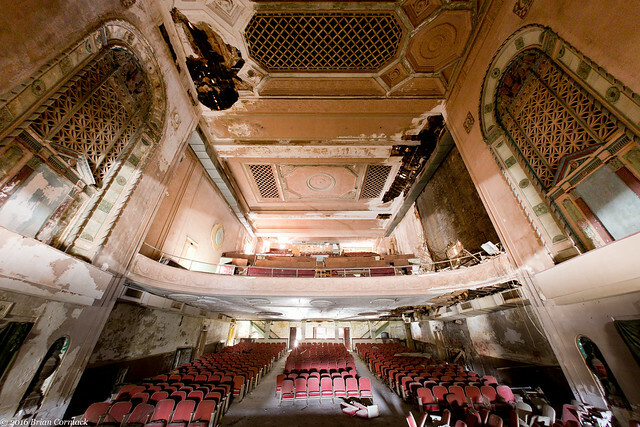 It is a beautiful old theater, but the years of neglect are taking their toll on the building. Water pours through holes in the roof every time it rains. The ornate crown molding is cracked, the plaster is peeling off in chunks, and the orchestra pit is flooded with murky water. 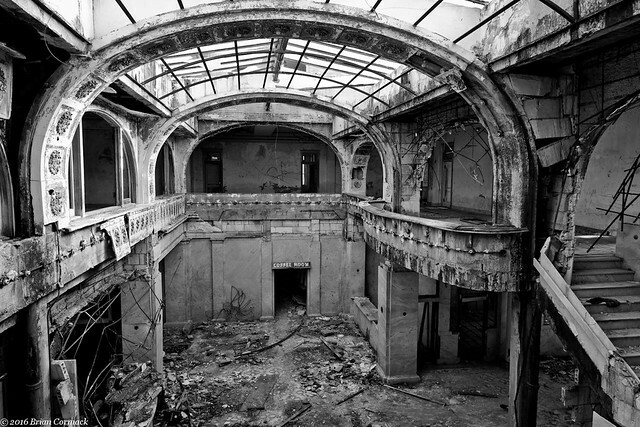 This was taken from the stage with a fisheye lens, which helps to show the fine architecture of the building and the damage that is occurring there. 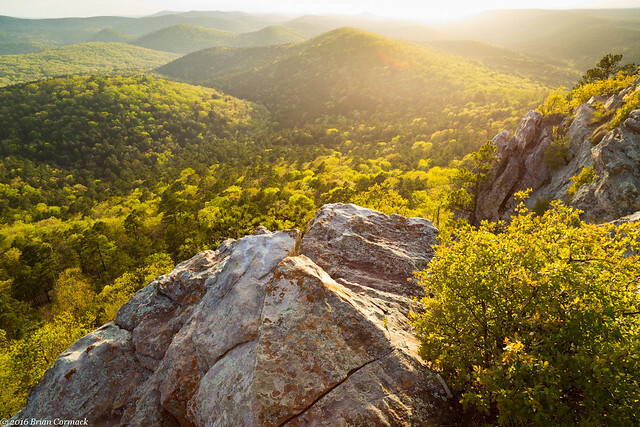 April 10: Flatside Pinnacle, Ouachita National Forest, Arkansas. The view from Flatside is probably one of the prettiest in the state, and its only about an hour away from Little Rock. The trail heading to the top of the mountain is short, but a bit steep (especially if you had just spent the past two months doing nothing but holding a baby and watching TV). But the view is worth the effort, with miles and miles of tree-covered hills spread out below you. June 5: Little Rock, Arkansas. 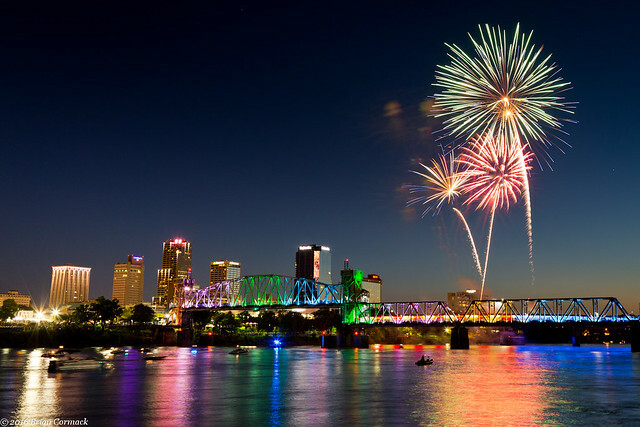 This was taken during the fireworks show that capped off the end of the Riverfest music festival in downtown Little Rock. It was actually taken during the beginning of the show, when there was still a little bit of light in the sky. And also before the smoke from the fireworks drifted over and obscured the skyline. October 20: Klepzig Mill, Ozark National Scenic Riverways, Missouri. This was one of my favorite places to visit and photograph last year. The old mill sits right by Rocky Creek, which passed by several waterfalls and some huge boulders (hey, wonder where it got it's name?). The photos were eventually posted here to this little blog, which actually celebrated its tenth birthday in 2016. This blog actually got its start on MySpace (remember that? ), and then moved here to Blogger. It is a bit of work to keep up with a photoblog, and I admit that it seems daunting to come up with something to say and to post. But the internet is littered with old photoblogs that started and then were abandoned after a year or two. I feel like it'd be a waste now to give up on it, so I'm going to continue plugging along and posting pictures with some stories and the occasional bad joke. I'm not always sure that people are reading these posts, but if anyone is then I just want to say thanks for sticking with me all these years and for putting up with my bad grammar and photography. My goal is to take more pictures in 2017, and to soon teach Jonah photography (or to at least force him to carry my tripod and camera bag during hikes when he's older). Thanks again, and hopefully 2017 will be much better than 2016!